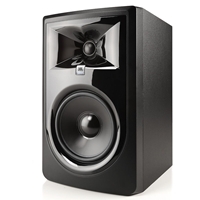 JBL 306P MkII 6" powered studio monitor - sold as a pair and for a limited time includes free Nano Patch!!! known as the 306P-MKII. To highlight this new 6.5” size, we are giving away a JBL Nano Patch volume controller valued at $164 RRP with every pair of 306P-MKII monitors purchased.